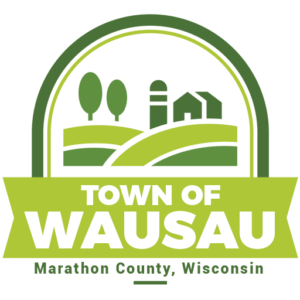 The Town of Wausau Fire Department meets the first and third Tuesday of every month. The Department is always looking for volunteers to join the team as a first responder, firefighter, or both. For more information, please contact Chief Kevin Yolitz at (715) 432-3602. No permits are to be issued for open burning to businesses per the DNR. Burning is permitted seven days a week except on legal holidays. No permit is needed for campfires if they are used for cooking or for warmth. Time and day are exempt. Hours of burning are from 4:00 pm till midnight when winds are less than 8 mph. No permit is required where the ground is completely covered with 1 (one) inch of snow. Hours for burning are exempt as long as the wind is less than 8 mph. It is the owner’s responsibility to call the DNR HOT LINE @ 888-947-2876 to see if burning is allowed for that day in Marathon County (Enter 37 for Marathon). Then call the Sheriff’s Department @ 715-261-1200 to tell them that you are doing a controlled burn. Remember you are liable for any fire you start and all expenses incurred in the suppression of the fire you caused. Wet combustible rubbish, such as wet cardboard or paper. Oily substances, such as oily or greasy rags, oil filters or paper. Asphalt such as asphalt shingles or tarpaper. Plastic of any kind including plastic bottles and plastic bags. Rubber products including tires and hoses. Burning permits must be obtained before burning trees, brush, stumps, pallets, and dry unpainted/untreated wood. A burning permit is issued for any three days. Burning barrel permits must be obtained before burning small amounts of dry mixed paper, container board (for example: cereal boxes and beverage packaging). A burning barrel permit is issued annually.